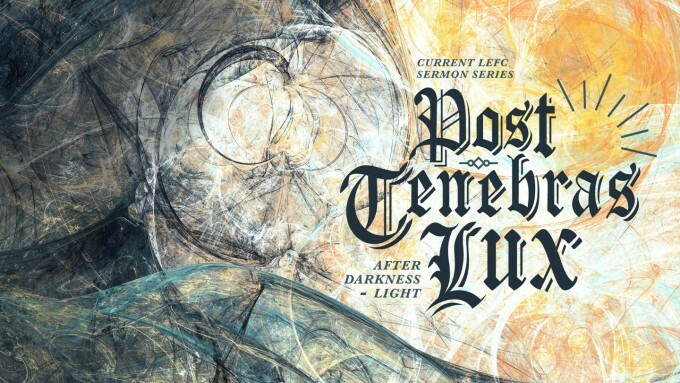 Post Tenebras LUX--What Does it Mean to Repent? Below are some discussion questions relating to a recent sermon. These are provided so that your Life Group can discuss what was shared. Previous Weeks’ Discussion Guides and Sermon Notes are available through the Sermons under the Resources menu. Click on the sermon series and then the sermon you are interested in to open it. You will see Paper icon under the sermon title. Click the icon to open the sermon notes. To listen to the sermon click on the speaker icon. POST TENBRAS LUX --- (AFTER DARKNESS, LIGHT) What Does It Mean to Repent? What does it mean to live a life of repentance? Spend some time reflecting upon your life and how it could better reflect an attitude of repentance. David wrote a Psalm of repentance (PS 51). What are the important qualities of this Psalm? Luther’s observation of a lack of significant life-change in folks who identified as “Catholic” as prevalent in his society was interesting. We have a problem like this today. What is the primary missing ingredient in our lives that causes lack of life-change? What is the problem with our understanding of repentance? Life Groups are a key part of living a life of repentance. Explain how that can happen and why, perhaps, it doesn’t as much as it should. Repentance is not a common word. Salvation does not happen without repentance and faith. Discuss both the simplicity of coming to Faith and the complexity of living the life of faith based upon the thief on the cross next to Jesus and James 2:14-19. Please remember to use as few or as many of these questions to fit your Life Group. One would think that making Christianity (Constantine) the central religion of a political empire like Rome would be a good thing. Why was it, in many ways, NOT a good thing? How did the Reformation bring light to the eventiual (891-1046 AD) darkness of that day? How do Christ-followers today bring darkness to the Gospel message? How can we avoid this especially as we interact with our Oikos? Take a closer look a version of the Nicene Creed. (below) What about this statement troubles you, if anything? Could you affirm this statement as your own? Why or why not? What impact does this creed have on your life? Why is the light of Jesus so important? Name three ways it is important to you, personally. How do you specifically let your light shine every day? Can you think of one or two new ways to let your light shine? o We believe in one God, the Father Almighty, the maker of heaven and earth, of things visible and invisible. o And in one Lord Jesus Christ, the Son of God, the begotten of God the Father, the Only-begotten, that is of the essence of the Father. o God of God, Light of Light, true God of true God, begotten and not made; of the very same nature of the Father, by Whom all things came into being, in heaven and on earth, visible and invisible. o Who for us humanity and for our salvation came down from heaven, was incarnate, was made human, was born perfectly of the holy virgin Mary by the Holy Spirit. o By whom He took body, soul, and mind, and everything that is in man, truly and not in semblance. o He suffered, was crucified, was buried, rose again on the third day, ascended into heaven with the same body, [and] sat at the right hand of the Father. o He is to come with the same body and with the glory of the Father, to judge the living and the dead; of His kingdom there is no end. o We believe in the Holy Spirit, in the uncreated and the perfect; Who spoke through the Law, prophets, and Gospels; Who came down upon the Jordan, preached through the apostles, and lived in the saints. o We believe also in only One, Universal, Apostolic, and [Holy, Catholic] Church; in one baptism in repentance, for the remission, and forgiveness of sins; and in the resurrection of the dead, in the everlasting judgment of souls and bodies, and the Kingdom of Heaven and in the everlasting life. These are some discussion questions relating to a recent sermon. They are provided so that your life group can discuss what was shared in a recent sermon. The mission of LEFC is to make disciples of Jesus Christ. We do this by sharing Christ in our relational worlds and pouring into the lives of others. We seek to be people who LOVE GOD, LOVE PEOPLE, LIVE TRUTH and PROCLAIM JESUS.